As the snow continues to pile up and the temperatures drop even lower, many people in the Kalispell, MT, area need to worry about avoiding frozen pipes. A pipe full of ice can burst and cause severe water damage, so it’s important to take measures to combat the issue before it’s too late. Fortunately, the friendly team at FloodCo has the helpful advice Flathead County residents need. As soon as the temperature drops below 32 degrees, you should begin to take precautions to prevent your pipes from freezing. Even if you plan to leave town, keep your thermostat set to at least 55 degrees. You should also caulk cracks and holes near pipes. You might want to apply heating tape and additional insulation to protect them. If you can see frost on the pipes under your sink or in another area where they are visible, you have a problem. To prevent the issue from exacerbating, turn your thermostat up, add more insulation to your pipes, and open your cabinet doors so the heat can penetrate the afflicted areas. Letting the water run through the pipe, even at a trickle, will also help them warm back up. If you switch on the faucet only to find that you have no running water or just a few drops come out, the nearby pipes might be frozen. 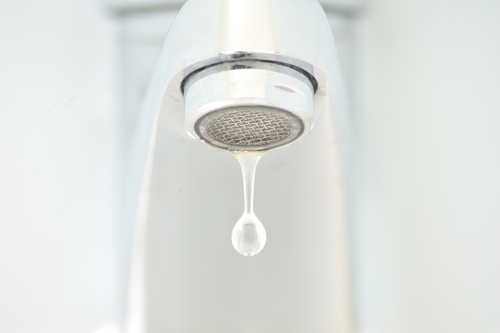 Switch the faucet on to help warm up the pipe, which will also alert you as to when it begins to thaw. A hair dryer or heater will also help warm the pipe up. If you notice a strange or foul smell from your faucet or drain, a frozen pipe might be to blame. A blocked or partially blocked pipe might cause odors to back up into your property. If this happens to you, try the aforementioned tactics to warm up your pipes. You might also need to consult a professional plumber. The professionals at FloodCo in northwest Montana hope you and your family enjoy a warm, cozy winter without the threat of frozen pipes and nasty water damage. In the event of the emergency, though, their friendly experts are there for you. The team offers the emergency water removal and carpet drying services you need in case of an unexpected pipe burst. To learn more about property disaster support, visit their website or call a friendly professional at (406) 892-1717.